So you’ve just suffered a financial setback, and your credit has taken a hit. Like anything worth doing, such as staying fit, or maintaining a relationship, rebuilding your credit may require more of your time and effort than you initially anticipate, but it’s so worth it to your future financial health. Here are 6 basic steps to get you on the road to recovery. With any good plan, it’s essential to track progress. You need to know from where you’re starting and the changes that occur along the way in order to make good decisions. 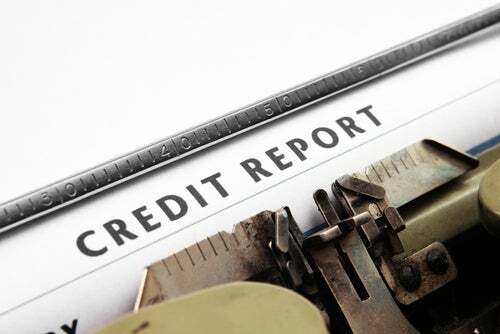 Make it a point to get and read your credit report often. Once a year, you’re entitled to one free report from each of the three major consumer reporting agencies (a.k.a., credit bureaus) at AnnualCreditReport.com. Of course, we recommend that you review your credit reports more often than once a year, but think twice before signing up for credit monitoring services, which can charge you as much as $19.95/month. If you are disputing simple information on your own, you can view free copies of your credit report anytime when you access the credit dispute sections of each of the three major credit bureaus websites: Transunion, Experian and Equifax. It’s significantly cheaper for the credit bureaus to handle disputes electronically rather than manually via the mail – so all of them have set up online credit disputing systems at their websites. In order to allow you to pick out items to dispute, they must show you your report. Transunion and Equifax require basic information to get into the credit dispute section of their website. Experian requires a prior credit report confirmation number, which you’ll get from annualcreditreport.com. You don’t have to actually dispute anything in order to see your credit report in its current state. Other resources: CreditKarma (Transunion) and CreditSesame (Experian) offer free credit scores and reports at their websites. Now that you’ve reviewed copies of your credit reports, you need to make sure everything is accurate. In 2013, the FTC found that up to 25% of all credit reports contained an error. In addition, the FTC study revealed that 5% of consumers had a score change of more than 25 points due to an error. It pays to dispute your errors, and it’s easy online. This same report found 80% of consumers filing a dispute experienced some modification to their credit report. Accounts that don’t belong to you. Make sure your credit limits are accurate. Listing your credit limit as too low could raise your credit utilization for that account. Credit utilization is the ratio of your used credit divided by your credit limit. You will be penalized for any credit utilization over 30%. Late pays that aren’t yours. Bankruptcy notations that aren’t yours. If something stays on your credit report longer than the legal limit, make sure you dispute it with the credit bureaus. One of the best things that you can do to rebuild your credit is to get a credit card. 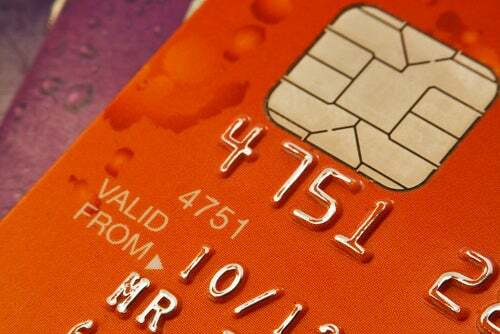 Getting one or more credit cards and using them responsibly will absolutely help you to boost your credit scores. If your credit is so bad that you can’t get a regular credit card, then you might want to try applying for a secured credit card. A secured credit card is exactly what the name implies; you can only borrow as much money as you have on deposit with the bank or credit union that issued it. However, when you’re applying for a secured credit card, be sure that it’s one that reports to all three major credit bureaus. Also note that having a debit card will have no positive impact on your credit rating, so prepaid debit cards will not help you rebuild. Please note: each time you apply for new credit, an inquiry will be placed on your credit report, and this can lower your score by as much as 5 points. Only apply for cards you are pretty sure you can get. Remember that checking your own credit will only incur a “soft” inquiry that won’t impact your score. 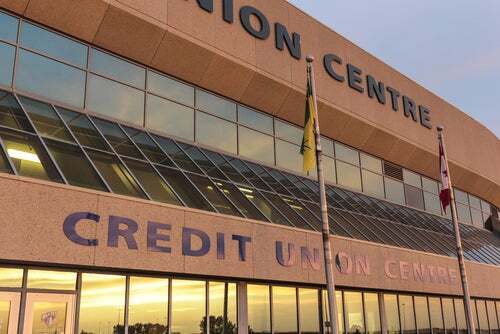 Most credit unions offer secured loans in which you borrow against your savings account or certificate of deposit (CD). These loans are reported to the credit bureaus, and you earn interest on the accounts while they are on deposit. The repayment interest rates are very reasonable, and this can be a low cost way to rebuild. Other types of secured loans include mortgages or car loans. FHA mortgage loans have lower credit requirements – they usually require a score of only 620, and the interest rates are usually quite favorable at a credit union. If your credit is lower, you will be paying a premium for an auto loan at a traditional dealer or bank – a credit union will usually get you the lowest rate. Secured loans are rated differently in credit scoring models than revolving lines of credit like credit cards. They are categorized as installment loans; the loans are always reported to the credit bureaus. Having a mix of installment and revolving credit boosts your score. Getting a mix of installment and revolving credit is great for helping to rebuild credit, but nothing improves a credit score faster than paying down (or paying off) your credit card balances. Most credit scoring models factor in your credit utilization rate as 30% of your score. Scoring models were built to help lenders qualify prospective borrowers, and a lender wants to see a wide margin between your available credit limit and how much you’ve charged. Maxed out applicants can look like they depend upon borrowed money just to get by, and their lower scores reflect that possibility. Most experts recommend keeping your credit utilization at or below 30%. Getting it down below 10% of your credit limit is optimal, if you can manage it. You might think that paying off your highest interest card first is the best idea, but if you want to boost your credit score, then you should work on first paying down the credit card that is closest to its limit. Perhaps the best way to keep your credit card balances low is to avoid overusing them. If you really need to make some large charges on your card, you’re better off spreading your purchases among several different cards. Just be aware that what banks report to the credit bureaus will be the balances on your most recent statements. If you’re like most people and not keeping close track of your ongoing credit card balances, well, there’s an app for that. Most of the credit card issuers will gladly send you a text or e-mail when you’re approaching your pre-set limit on your card. It’s not automatic, however, so you have to set it up with them when you get the card, or soon after.